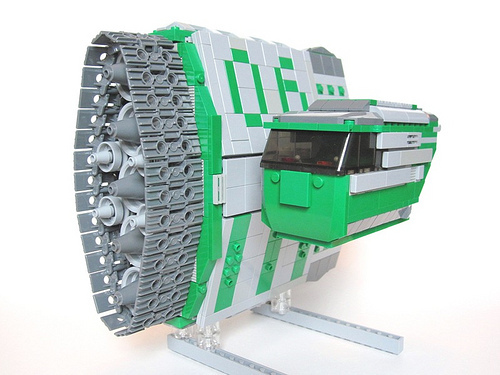 I don’t completely know what to make of this Tortoise class racing speeder by Jason Corlett, but I do know that I like the unconventionality, construction of the engine, and the attachment of the cockpit seemingly as an afterthought. I’ve seen it on MocPages and the more I look at it the more and more I love it. Jason is one of the best new people around.